Made from bamboo and petroleum-free bristles made from renewable raw materials (castor oil) - water-neutral, vegan and fair. Red and orange and green and blue – your child can sing a rainbow, too! Because they’re an environmentalist! 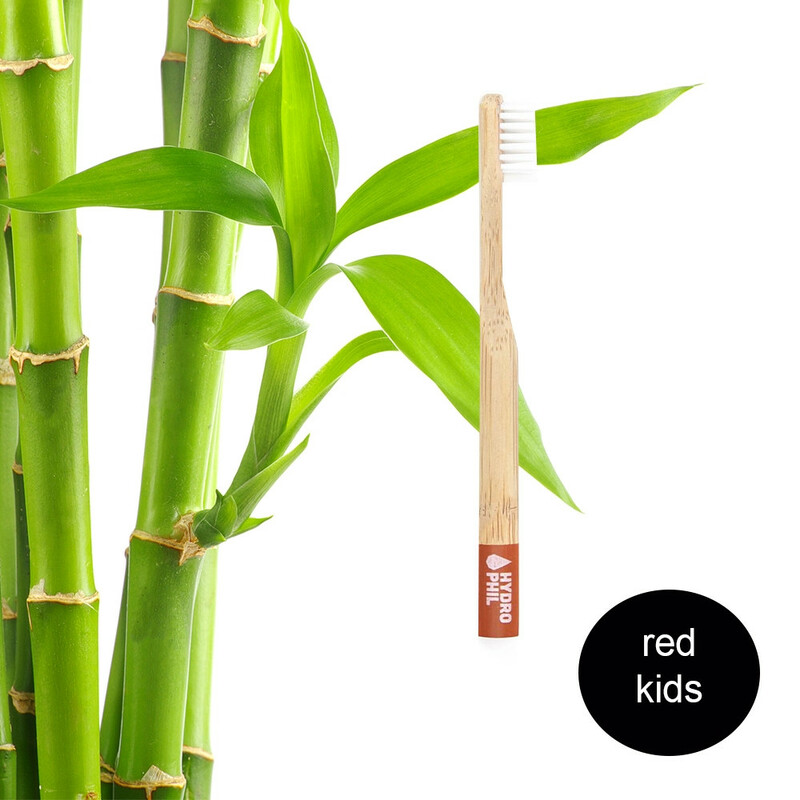 With this children’s toothbrush, your kids will be twice as active: They protect their teeth and help our environment. The brush is vegan, the bristles are made from renewable raw materials and are BPA-free and the handle, made from bamboo, is biodegradable. With this brush, your little ones can brush like champions of the environment! The extra-soft bristles provide for best results and a beautiful smile, because small heroes are simply adorable.